It's definitely been a year to remember in golf and everyone has their own favourite moments, but here are GolfMagic's top 3 of the year. Sorry to all our American readers (we're not sorry) but we had to start with this one. 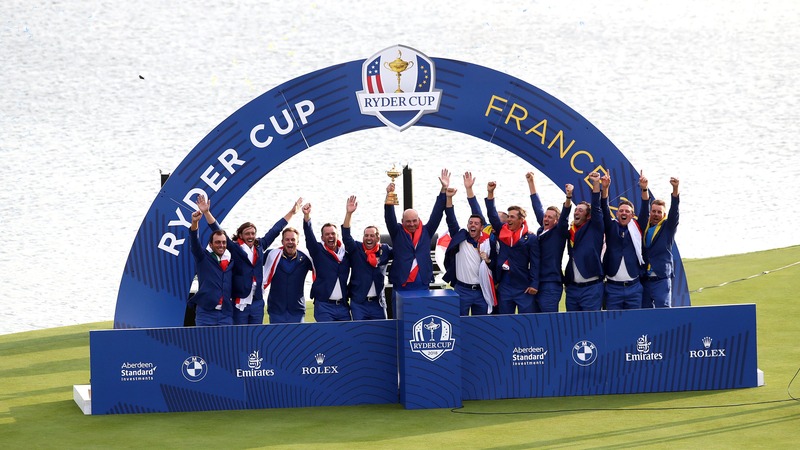 The 2016 Ryder Cup victory for the U.S was a tough pill to swallow, we took a battering and many people expected the same in Paris this year. The U.S team was a strong one on paper but we remained optimistic and thought maybe, just maybe, Thomas Bjørn would be the mastermind we needed to regain the Ryder Cup. Then the Friday morning fourballs happened. Europe had just one point on the scoreboard and the odds were suddenly against us, but how the bookies would be proved wrong. Just a few hours later, Europe bounced back with a 4 - 0 whitewash and took the lead. From there on in it was actually pretty comfortable for Europe, a few scares here and there, but all in all a comfortable win. The final score read 17.5 for Europe and just 10.5 for the United States. Moliwood was born. Patrick Reed was silenced. And the bragging rights were Europe's once again. Simply, simply perfect.